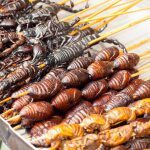 Switzerland’s federal government recently announced plans to authorise the commercialisation of insects and worms as domestic food products. 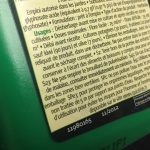 The supermarket Coop has applied for authorisation under the new rules, and plans to launch a new range of insect-based products. High in protein, insects come with a low carbon footprint and resource requirement. The federal office of health and food security announced on Friday that it expects certain insects to get a green light for commercial food use by spring next year. 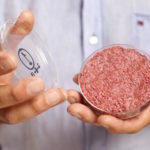 With help from the startup Essento, Coop has developed plans for insect meatballs and burgers – pictured above. The Swiss startup Essento has spent three years developing insect-based cuisine. According to the company, crickets taste like chicken, and meal worms have a nutty flavour. In Europe, the challenge is likely to be perception. Just ask Britons or Americans what they think of eating horse meat, or watch the reaction of the Brits involved in the milk experiment video above.